Americans are fooled about our debt - the Chinese aren't. China is the largest owner of U.S. Treasury securities and Geithner assured Chinese leaders that President Barack Obama was committed to tackling soaring budget deficits that have stirred unease about the value of Beijing's holdings. Premier Wen Jiabao roiled financial markets in March when he expressed concern about the safety of China's holdings of U.S. government debt. We pointed out that we owe the Chinese so much money that in a way, they have more of a problem than we do. Nevertheless, it's tactful for Mr. Geithner to visit and try to reassure the Chinese that they'll get paid in real dollars as opposed to worthless ones whose value has been inflated away. The reception Geithner received seemed to show that the governments of the world's largest and third-largest economies were determined to cooperate to combat the downturn. A nifty platitude, that. All governments everywhere are concerned about the world economy. Mr. Geithner is a big player in trying to get the recession under control; there's no government on earth that would admit to not cooperating with his economic efforts no matter what they plan to do. Hu thanked Geithner for developing good relations with his Chinese counterparts and taking action to end the financial crisis. The world's most important bond salesman told a Peking University audience Monday that "in the United States, we are putting in place the foundations for restoring fiscal sustainability." News reports said the audience tittered at that one, and no wonder. 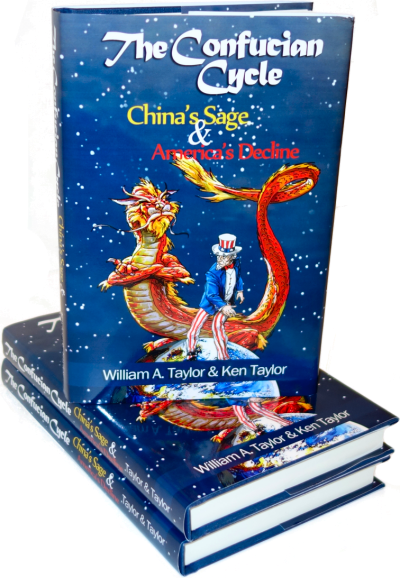 The Chinese are well aware of the great American fiscal and monetary blowout, with the 2009 federal budget deficit set to reach 13% of GDP, if we catch a break or two. Chinese officials did not comment publicly on Geithner's reassurances. What could they say? The Peking University students "tittered" when Mr. Geithner spoke of restoring fiscal sustainability. Could the Chinese government say to Mr. Geithner's face what must be the truth: that they don't believe that the Obama administration will get our deficit under control? That would be both honest and realistic - we at Scragged have no confidence that the deficit will be gotten under control in our lifetimes - but saying that wouldn't be tactful. This week, we see reports that Barack Obama's trillion-dollar stimulus plan has been a total failure on its own terms: as the adjacent graph indicates, our current unemployment rate with the stimulus plan is higher than Obama's administration projected it to be in a "worst-case" scenario without the stimulus. By his own measures, we should have left well enough alone and saved the trillion bucks. The Chinese may not read Redstate.com but they surely have put together a similar graph on their own. The fact that we have to pay more to fund our debt doesn't mean investors are losing confidence? Investors demanding more money is a sign of economic improvement? That's as hard to believe as Mr. Geithner's assertions that the deficit will come down. The Chinese know it; we know it; the question is, do Mr. Geithner and Mr. Obama know it? Of course a salesman says his automobiles are greatest thing since sliced bread; but when parts drop off and smoke pours from under the hood, he's nowhere to be found. The fact that the Chinese students tittered when Mr, Geithner spoke of fiscal responsibility shows that the Chinese aren't fooled by the smoke he's blowing. The Chinese know that smoke is smoke in any language - no surprise, then, that prominent Chinese bankers are calling for the U.S. to issue debt denominated in their currency instead of ours. The question is, how long will it be before Americans catch on?